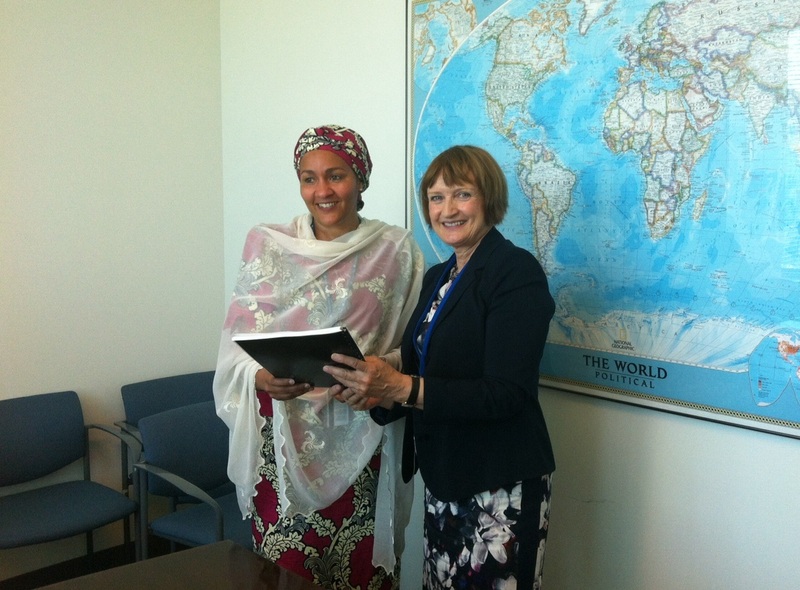 Last Monday, Tessa Jowell met with Amina Mohammed to present to her the global petition calling on the UN to ensure that a commitment to early childhood development is enshrined in the new global development framework after 2015. This moment was the culmination of almost a year’s worth of work to raise awareness of the importance of early childhood development (ECD) to global development. The petition has been a phenomenal success – it has been signed by over 12,000 people from 170 countries and endorsed by many global organisations and networks, and this is growing every day. LCID and many of you reading this will have been supporters from the beginning – LCID played an instrumental part in the launch of the petition at Labour Party Conference last September and covered our visit to Malawi with Sightsavers last July. I can’t thank you enough for this support and for being part of this global movement for change. 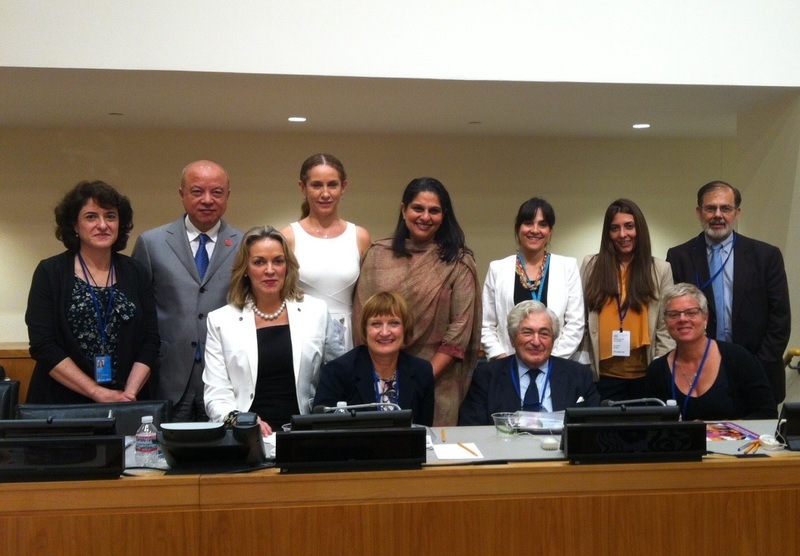 The same day Tessa presented the petition, she spoke at an official side event to the UN’s Open Working Group’s (OWG) Sessions entitled “Early Childhood Development: The Foundation to Sustainable Human Development for 2015 and Beyond.” The event was hosted by the Permanent Missions of Colombia, Ecuador and Italy, and sponsored by the Consultative Group on Early Childhood Care and Development, Open Society Foundations, SOS Children’s Villages and CINDE. Other speakers included former World Bank President James Wolfensohn, representatives of the host Missions, UNICEF and China Development Research Foundation. We heard many examples of how a combination of political will, a legal frame that supports investment in ECD and support from civil society has shown positive results. The event gave us all the sense that it is possible to achieve a holistic agenda for early childhood and address the challenges of implementation and scale in all countries around the world. The clincher however was Jim Wolfensohn’s comment that unless we focus on early childhood development there will be no change in levels of poverty. The OWG “zero draft” did a remarkable job of painting a holistic picture of ECD including targets on child and maternal survival, nutrition, protection from violence and crucially a strongly supported Target 4.3 on access to quality ECD programmes under the Education goal. Work has now begun to ensure that this target remains in the framework as the OWG begin to collapse their draft into a programme of global development. This campaign and work to ensure that ECD remains on the agendas of politicians and policymakers in all countries will continue beyond September. Amina Mohammed also emphasised the need for donor countries to realise their 0.7% commitments whilst measures are put in place to help countries build the capacity and capability to implement a core of ECD interventions. Thank you again for your support to ensure that we have the best provision for young children possible in the world’s new post-2015 development programme. 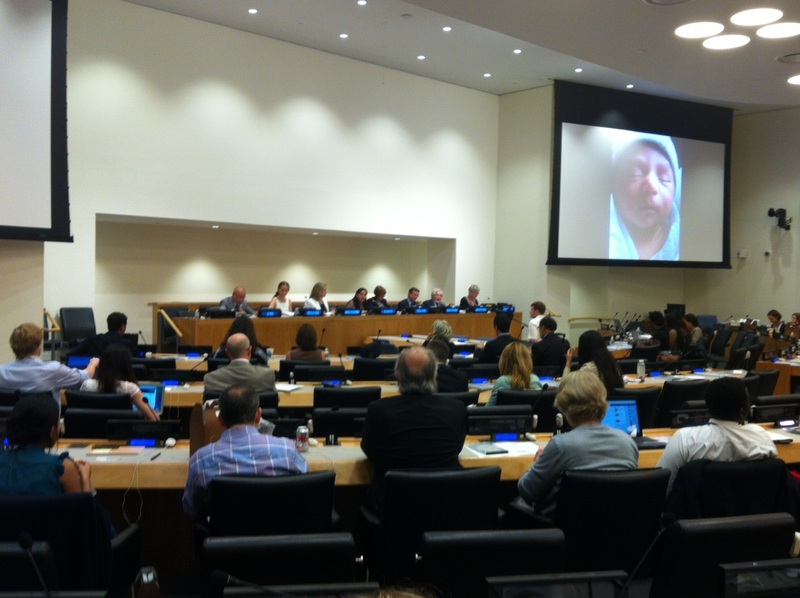 We now have an opportunity which was missed in the formulation of the MDGs to ensure that children are not just surviving but also developing to their full potential – Young children truly are our most important stakeholders and ultimately will be be the stewards of this next generation of development goals over the next 15-20 years. To keep the momentum going one of the first thing you can do is take part in the Guardian Global Development Professionals poll: Is added political pressure needed for early years development ? For more information see Tessa’s Huffington Post blog here, Guardian article of the event here, and if you have not already done so please do not forget to sign the petition!